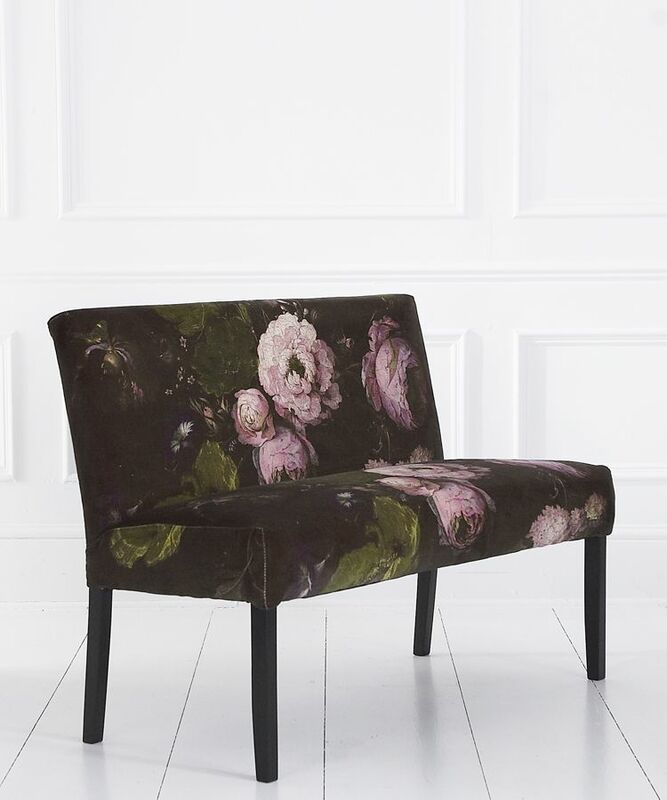 Our exclusive range of made-to-order upholstery, includes our fabulous Soho Loft banquette seat in Floralism sumptuous printed velvet, either with Floralism print all over or with back and sides in Citrus or Mulberry linen union. It is available in five lengths from 120cm to 210 cm with a choice of three arm styles and four leg finishes and is traditionally constructed and beautifully crafted with solid beech frames, webbed bases and foam filling. 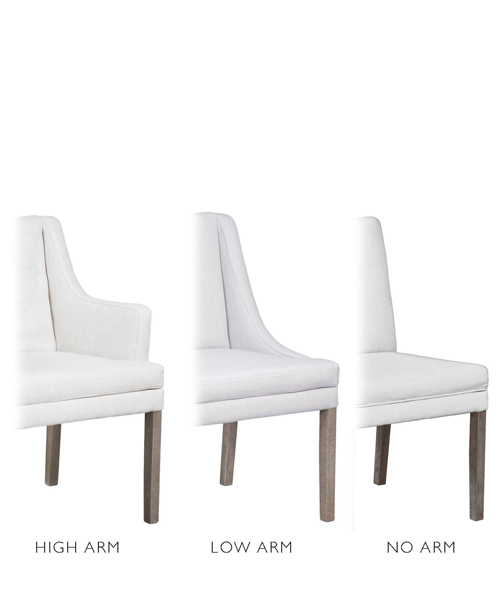 High arm, low arm or no arm options, see inset image for arm styles. 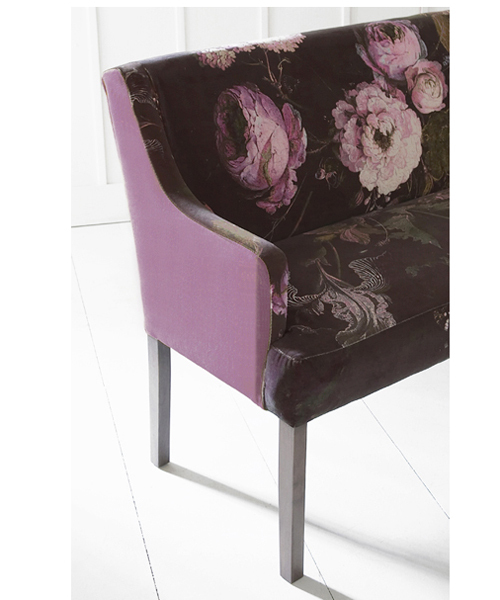 For the final finishing touch, the elegant legs can be finished in a choice of four colours - grey oak, black, white or dark wood. 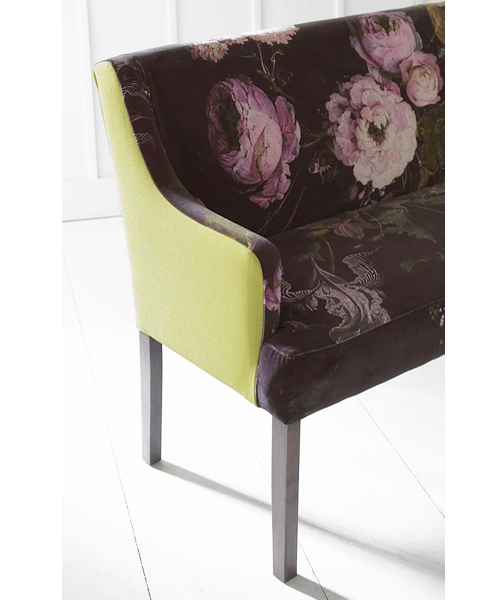 Please select your choice of banquette seat, arm style, fabric and leg finish from the drop-down menus below. NB: furniture items: 50% deposit will be charged to your card at time of order, 50% balance will be charged before delivery. We will call you prior to charging your card to check your order with you. Please choose your options from the drop-down boxes below.